We are Cyprus’s only driver training specialists to listen to and understand what your business needs to improve the driving skills of your employees. You have invested a lot of money in your vehicles and workforce. When they are involved in a crash your business will lose money through injuries to your employees, vehicle repairs, insurance claims, lost time and even prosecution. Can these risks be avoided? Yes they can. A good driver is a safe driver and promotes road safety. Isn’t that the image you want your employees to display? We guarantee to provide you with peace of mind knowing that whenever anyone is driving one of your vehicles they are doing it safely, skilfully and professionally. We provide training and guidance to businesses, organisations and individuals who are interested in becoming an advanced driver or where their position and responsibility in the workplace demands it. Anyone who holds a full driving licence for the class of vehicle they drive is suitable to attend any of our courses. All our training is based on “Roadcraft” the British Police Drivers handbook and delivered under expert guidance by our skilled Tutors. We have tutors who can speak Greek and English. 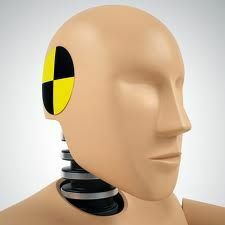 They do not drive beyond their capabilities or the limitations of the vehicle they drive. They are more relaxed behind the wheel, so less stressed. They understand how to maximise fuel efficiency and economy from their vehicles. They contribute to less wear and tear to your vehicle. We can actually state that our promise to you is that, “Advanced drivers use their skills to give safe, smooth and controlled performances that leave nothing to chance.” Such is the increased interest in the training we provide that inquiries from businesses to provide driver – training programes to match their needs and availability will be considered by us. We recognize that business schedules, commitments of your employees and your location where you are based may make it impracticable to enroll people on a weekly RoSPA training program. We will work with you to discuss and design driver – training programs that meet your business needs and timescales so that the training is appropriate for the people who drive your vehicles. Any person participating in any of our courses will receive an Attendance Certificate to qualify the training provided. Drivers taking the RoSPA Advanced Driving Test will be able to qualify at Bronze, Silver or Gold level. A written report supplied by the Examiner will also be made available. Please remember that as this is a test, candidates may on occasion be unfortunate not to succeed. Generally, fees associated with any of our training courses are to be settled by payment to our Tutors. 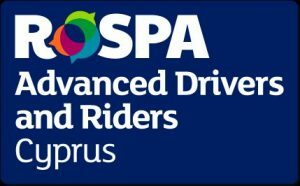 Alternatively, a financial donation to RoSPA Advanced Drivers and Riders Cyprus for the provision of one or more Tutors may be requested. For more information about our training programs and associated costs contact us now, you have nothing to lose. You will gain a lot. For inquiries please use the contact form. Road safety it’s YOUR Business!